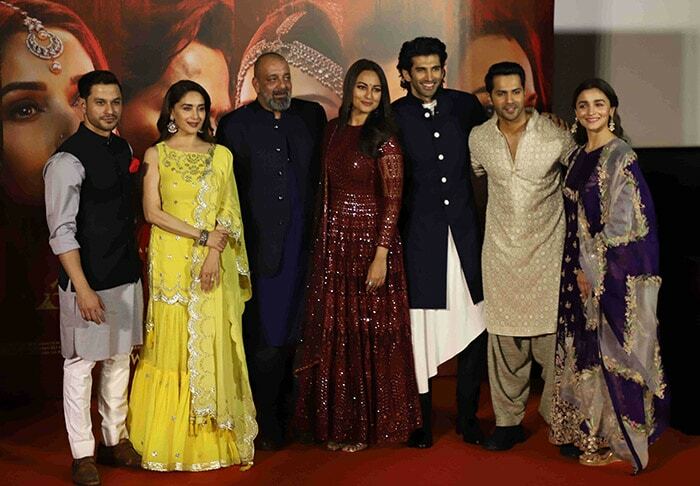 The trailer of Kalank was launched in the presence of the film's entire star-cast and spotted on stage were Alia Bhatt, Varun Dhawan, Sonakshi Sinha, Aditya Roy Kapur, Madhuri Dixit, Sanjay Dutt and Kunal Kemmu. It was a blockbuster event in Mumbai on Wednesday. 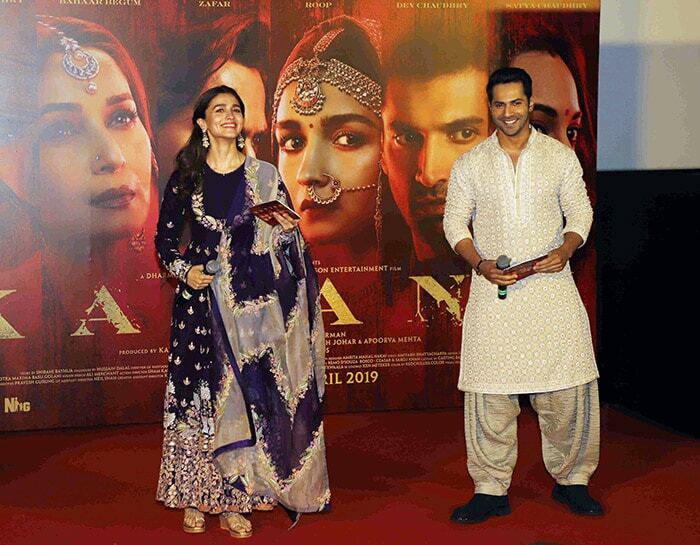 Alia and Varun play illicit lovers in Kalank. 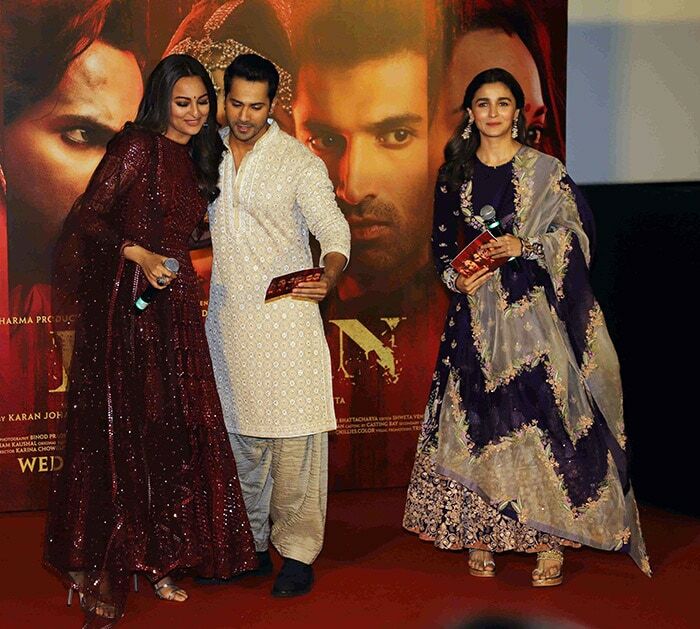 How Varun Dhawan welcomed Sonakshi on stage. A namaste from Aditya Roy Kapur to all of you! Madhuri Dixit and Sanjay Dutt will reunite on the big screen after two decades! Varun and Aditya ka gupshup chalu. Kunal Kemmu was also welcomed on stage with a jhappi. And then Alia distributed scarves to fans. Too sunny for Sonakshi Sinha? Sanju baba arrived in style.